When Revealed: You cannot flip the active location this round. If the active location is Underwater , resolve its Forced effect as if it is the end of the quest phase. 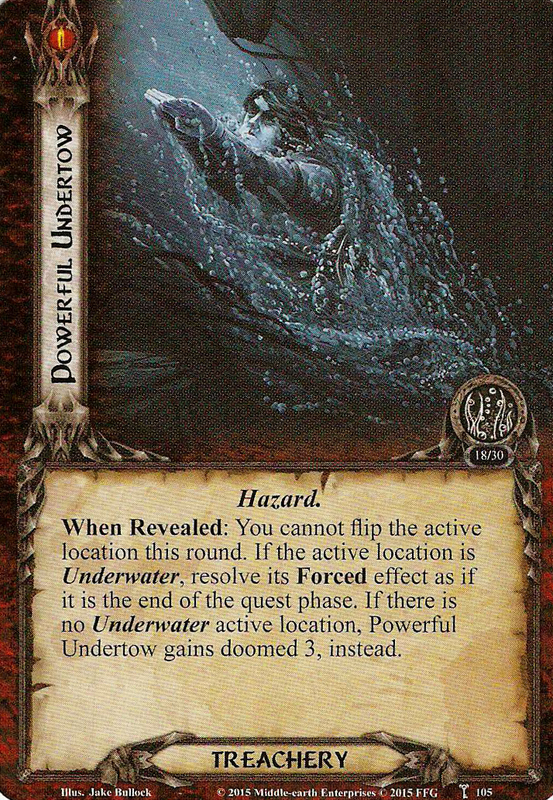 If there is no Underwater active location, Powerful Undertow gains doomed 3, instead.